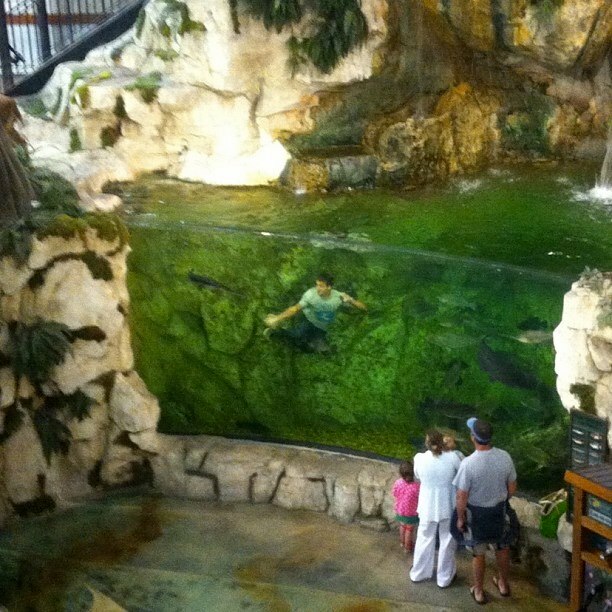 Do Not Swim at Bass Pro Shops | FISHING FURY - A Fishing Blog with Attitude! Sure maybe you’ve had the idea, but you’d have to be an idiot to attempt it. Yet surprisingly after writing that I googled to find a newspaper clipping and instead I found a bunch of videos on YouTube. Even more stupidity after the break!